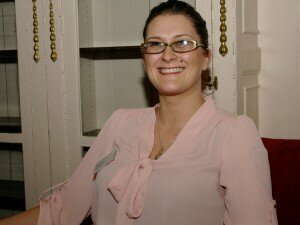 Louise is married to a serving Royal Marine with three children currently aged 3, 2 and 1. Originally from Durham, she has been based mostly in Scotland for the last 10 years with time spent in Hampshire and Devon. Her background is in theatre, specialising as a sound engineer and also working as a professional set and costume designer. She has started a second degree in modern languages. Louise applied to join the RAF as an intelligence analyst but gave up the military career before commencing the training to be with her husband and to start a family. Now she has her own business in cake making, interior design and craft items which she moves around with each posting and runs from home. She is a member of RMA and the Royal British Legion Women’s Section. She is actively involved in the military community by fundraising for RMCTF and RMA but also with the wives and families community. 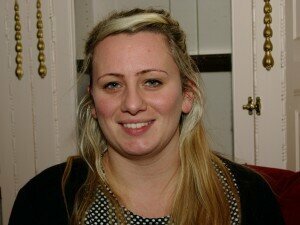 She sits on the Condor Playgroup Committee being responsible for funding and also on the Families Committee. She has organised many events for families to both raise money and tighten the military community while building links locally with civilian families. Currently she is working on promoting wives who have set up business to suit their military lifestyle and home life as well as building her own business. She also sings with the Military Wives Choir. She has many links within the wider military family, particularly with families and by working with military organisations and charities.